OPPO is set to release another Android device, a new variant of the OPPO Find X. This device is set to come with a whopping 10GB of RAM to power it. According to a TENAA listing, the OPPO Find X device will be shipped with 256GB of internal storage, and as well 10GB of RAM. Now, if this is true, the OPPO X variant will be the first device to carry such RAM power. 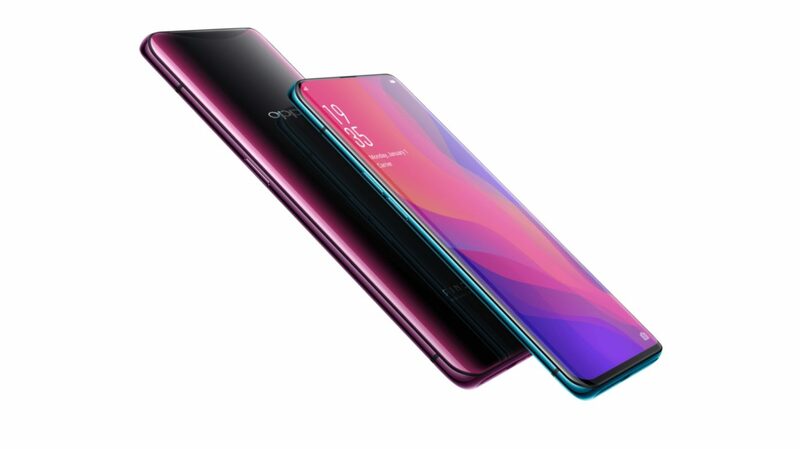 The current OPPO Find X comes with 8GB of RAM, has a very thin chin below the display and has almost no bezels. Announced back in June this year, the OPPO Find X came with a curved display, while the display itself is made out of metal and glass. The device has a 6.42-inch fullHD+ AMOLED display and is being powered by a Snapdragon 845 64-bit octa-core SoC. It comes with Android 8.1 Oreo pre-installed with OPPO's ColorOS 5.1 skin, and a massive 3,730mAH battery size to keep the device running all day. One key feature of the OPPO Find X was the sliding mechanism. The camera on the OPPO Find X is buried within the device, and thus, when ever the user wants to use the cameras, the sliding mechanism comes into play. Whenever the user wants to make use of the camera, maybe to take pictures or to scan the users face (3D Facial Recognition) the cameras will have to move in the right position for it to be able to work. The device doesn't come with a finger print scanner. So far, its just the listing of the OPPO Find X variant on TENAA that is available. Lets wait and see what the release will be.